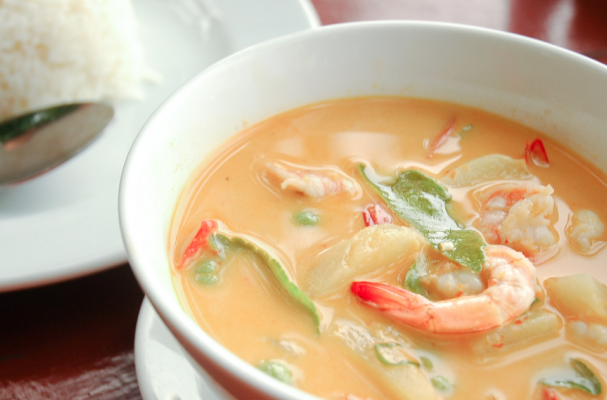 Few ingredients in the culinary world have the flexibility of coconut milk. It spans across countries, dietary restrictions, and flavors. Whether you are prohibited from eating dairy, a vegan, love Asian food or crave rice pudding, you can still consume coconut milk. In Sanskrit, the coconut palm is known as kalpa vriksha - 'tree which gives all that is necessary for living' - and for good reason, the mighty coconut produces oil, sugar, a non-dairy milk and an electrolyte packed water. We have seen coconut's various uses pop up in markets all over the world and are just beginning to appreciate how truly wonderful this tough fruit is. Coconuts are rich in fiber and packed with tons of vitamins and minerals including vitamins C, E, B1, B3, B5 and B6, iron, selenium, sodium, calcium, magnesium and phosphorous. At the very least, you known you are getting a nutritional boost. Let me start off our conversation by clearing up a common misconception - coconut milk and coconut water are two very different things. Coconut water is a clear liquid that is tapped in the center of young, green coconuts while coconut milk is made from coconut flesh. Essentially, the grated coconut is soaked in hot water for several hours. Just like its dairy counterpart, the coconut's natural fat separates from the water and skimmed off the top. This natural by-products is known as coconut cream and is excellent for desserts as well as creating a vegan whipped cream. The remaining liquid is strained through a cheesecloth to produce coconut milk. To make your own version of coconut milk, heat unsweetened coconut flakes with water in a non-reactive pan until barely simmering. Transfer the mixture to a blender or food processor and puree the mixture. Strain the liquid through a cheesecloth and squeeze the pulp to release any leftover liquid. Store the milk in an airtight container for up to 4 days. You can use this milk when cooking a fragrant Thai curry, mixing together a quick and easy chia pudding or freezing a batch of strawberry coconut paletas.